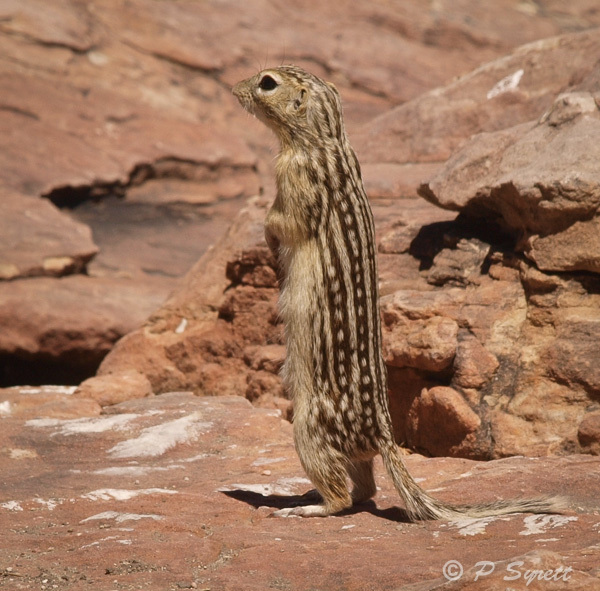 The thirteen-lined ground squirrel is one of my favourite squirrels, although I have seen it on only two occasions. 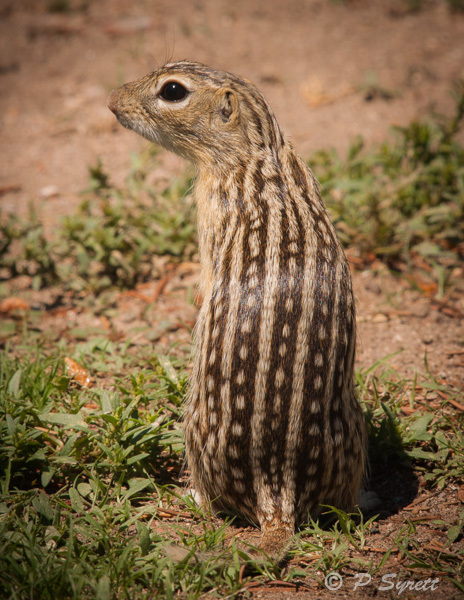 It is beautifully marked, and is well camouflaged among the vegetation of the short grass prairie where it resides. 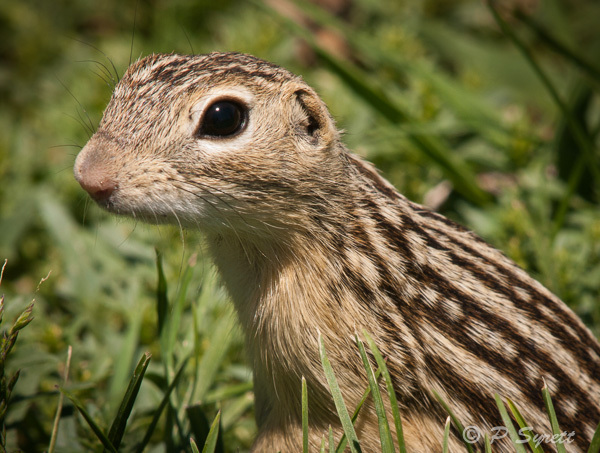 I was able to photograph this squirrel in a rest area in southern Wyoming where a colony had established and was taking advantage of the well-watered grass and occasional titbits from passing travellers. My other sighting was a more distant view on the prairie of the Pawnie Grasslands in Eastern Colorado. 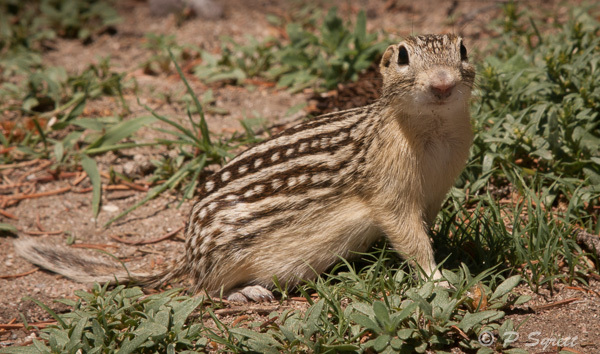 Thirteen-lined ground squirrels feed on grasshoppers as well as on grass and seeds, are active during summer, and like many squirrels, hibernate through winter. They are very wary of predators, as although their spotted coats generally provides good camouflage, on the open prairie they are vulnerable to coyotes and birds of prey. 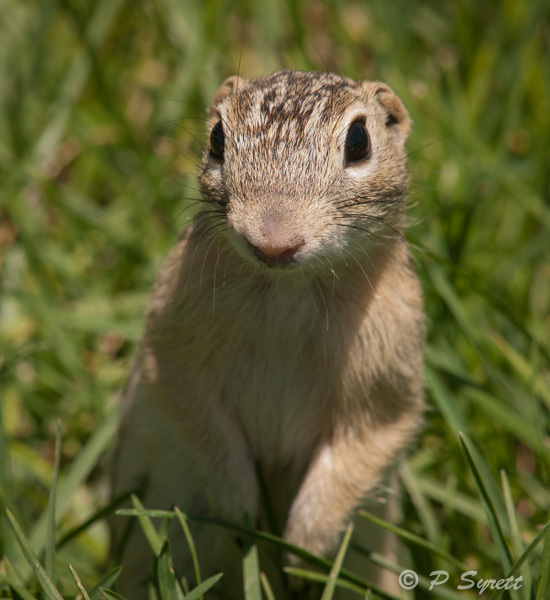 So as not to give away the location of their burrows, the squirrels carry away the excavated soil in their mouths rather than leaving a pile of dirt by the entrance. They also tamp down grass and soil into the entrance to help conceal it.